Change In Schedule for Special Events for the Week of the Young Child! There has been a slight CHANGE IN SCHEDULE for our celebration days below. Carnival Day is now on Wednesday and Crazy Hair Day is on Friday! Monday, 4/23 – Wear your favorite pajamas! Tuesday, 4/24 – Each Classroom will decorate thier door or hallway with thier favorite movie theme. Thursday, 4/26 – Show & Tell Day – Children are asked to bring in thier favorite toy! Special Events Next Week for the Week of the Young Child! April 22-28 Is The Week of the Young Child The Week of the Young Child™ – an annual celebration sponsored by the National Association for the Education of Young Children (NAEYC). 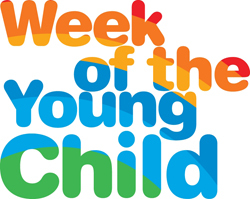 The purpose of the Week of the Young Child™ is to focus public attention on the needs of young children and their families and to recognize the early childhood programs and services that meet those needs. At Child’s Play, we will be celebrating with fun activities and dress-up days on each day of the school week! Monday, 4/22 – Wear your favorite pajamas! Tuesday, 4/23 – Each Classroom will decorate thier door or hallway with thier favorite movie theme. Thursday, 4/25 – Show & Tell Day – Children are asked to bring in thier favorite toy! Friday, 4/26 – Carnival Day – outside, weather permitting. Photo Orders & Proofs Are Due TODAY! Photo Orders and proofs are due to the office TODAY – Thursday, April 19, 2012! Even if you do not plan to order photos, all proof sheets need to be returned. If you have any questions, please call 920-459-7919 or send us a note – cponsuperior@hotmail.com. Your Mr. Z’s Orders will be available for pick-up tomorrow, Tuesday, April 17, 2012, 3:30-5:30 p.m. REMINDER – Child’s Play Flower Fundraiser – Ends FRIDAY – April 13! Does your yard need some color? Order your flowers now and benefit Child’s Play! Orders Due FRIDAY! Child’s Play is doing a new flower fundraiser through Caan Floral and Greenhouse throu gh April 13! The profit Child’s Play makes will be going toward the new Children’s Garden at Child’s Play, which is located on the east side of the building! Huge, healthy hanging baskets in red, pink, purple and orange are available for only $21.00! Flats of Alyssu, Begonias, Impatience, Marigolds, Pansies and Petunias for $16! Check out Geraniums and Vines for only $3.50! All order forms and money is due in the office by April 13. Please make checks payable to Child’s Play. Delivery day is set for Thursday, May 10 at 3:30 p.m. Flowers make great Mother’s Day gifts and if you gather with family and friends over Easter – it is the perfect time to discuss their planting plans and ask for orders! With our great weather, who isn’t itching to add some color to the yard? Just a quick reminder that Child’s Play Learning Center will be open today – Good Friday (April 6, 2012) – from 7:30 a.m. to 4:30 p.m. Please note this change in hours as you plan for your children today. If you have any questions or concerns, please call or email us! Please follow this blog at https://childsplaylearningcenter.wordpress.com. All announcements, news and other information will not be sent directly to email addresses after the newsletter goes out on 4/2/12. T he Week of the Young Child™ is an annual celebration sponsored by the National Association for the Education of Young Children (NAEYC). The purpose of the Week of the Young Child™ is to focus public attention on the needs of young children and their families and to recognize the early childhood programs and services that meet those needs. If you expect to deviate from your usual schedule by more than 15 minutes on any given day, please call or email us as soon as possible to ensure we have staff coverage to care for your children. Recently, we have had several families arriving 1.5 hours – 20 minutes before their normal schedule and this creates significant issues for our staffing coverage! We schedule our teachers according to how many children are expected to be at the center at specific hours of the day. When a child arrives that much earlier than their scheduled time, we are not prepared for them! This is not simply a staffing issue, we are required, by law, to have a specific number of teachers to children. The only way we can prepare for changes is to know about them ahead of time. We appreciate your attention to this matter and please do not hesitate to contact us if you have any questions or concerns. 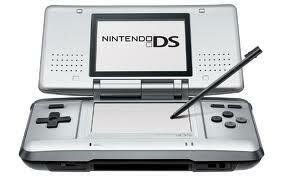 “Special Game Day” is reserved for our school-aged children to bring thier hand-held gaming systems, tablets, ipods, and more to play and share with thier friends. We ask that you do not send these with your children except for these specific days. We do not want personal electronics to distract our friends from the curriculum we have planned and it is very difficult to protect and monitor these items when we do not expect them to be in our classroom. Thank you for your respect for this rule and for your help in enforcing it with your children. SNOW PANTS & BOOTS — GO HOME! Please take all snow pants and boots home with you this month! Spring is here! Please consider taking a look at your child’s back-up clothes in thier cubby to ensure they are still the right size and season! MR. Z’s FUNDRAISER A SUCCESS! Thank you to all of the families who participated in the Mr. Z’s Fundraiser this spring. We sincerely appreciate your extra effort to support your center. Delivery Day is Tuesday, April 17 from 3:30-5:30 pm. Child’s Play will be open from 7:30 a.m. – 4:30 p.m. on Good Friday – April 6, 2012. Singer Judy Stock comes in April! 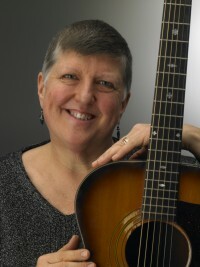 April 6 = Good Friday Hours = 7:30 a.m. – 4:30 p.m.
April 13, 10 a.m. = Judy Stock, musical entertainer, visits Child’s Play! $3 per child. April 13 = Child’s Play Flower Fundraiser Ends! (More info below). April 22-28 = Week of the Young Child – see above for our celebration plans! April 24, 10:30 a.m. = Kathy Luck, storyteller, visits Child’s Play! $3 per child. This event raises dollars for the Children’s Learning Garden that was opened last summer on the east side of the building! Order for yourself, for gifts or for the center! All orders are due in the office by April 13. Delivery is set for Thursday May 10 3:30-5:00 p.m. Perfect for Mother’s Day and to cure your cabin fever! WE HAVE THE BEST STAFF! Ms. Lois is one of the ladies in the young 2’s classroom – aka: The Stepping Stones – and has taught this age group for 4 of her 18 years at Child’s Play! In addition to her 25 years of experience, Lois earned certifications at Lakeshore Technical College and Northeast Wisconsin Technical College. When Ms. Lois isn’t working with the two year old wonders in her classroom, she may be at home in Sheboygan Falls with her husband David and their Siberian Husky, Nahla and cat, Spike. You may also find her somewhere in the Upper Peninsula on her 700cc SKS with 48 inch tracks (to be precise). She loves winter and loves to snowmobile! You might even find her spotting a moose, which is her favorite animal because it reminds her of the U.P.! 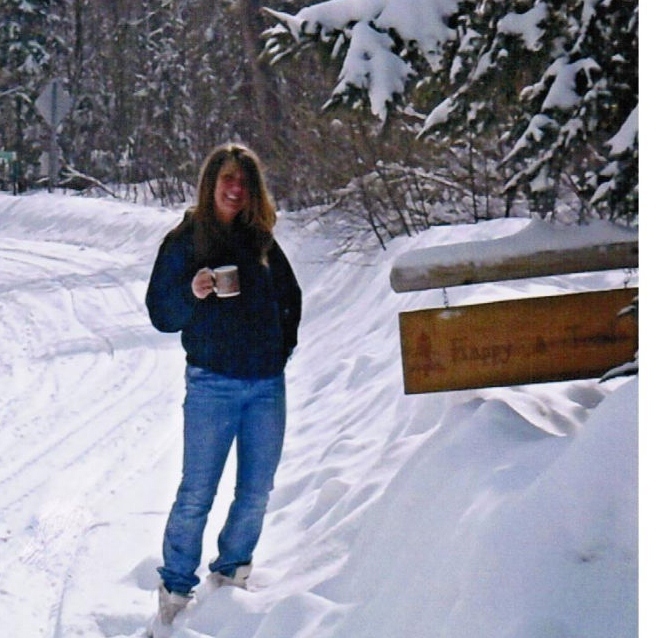 Despite her penchant for winter, Lois also enjoys taking a cruise, hunting, beading and her work as an Independent Consultant for L’BRI Pure n’ Natural – www.loisr.lbri.com. Check out her personal page! If it were up to us, We’d most want to find her practicing her expert cheesecake-making skills and listening to Country music, perhaps in her jammies, which just happens to be her favorite dress-up day at Child’s Play. If Ms. Lois could pour you a cup of coffee and cut you a piece of cheesecake, she’d share some of her wisdom with you and would want you to know how much sign language can help with speech development for your children! She might also discuss the Twilight Series, which her children got her into or theorize on what Oprah might say if she was sitting at the table, since she thinks Oprah is an amazing person who would have awesome stories about the things she has seen, the places she has gone and the people she has met. If you can wait until July to enjoy some cheesecake, she’ll have some baby pictures to show you! She and David will become first time Grandparents this summer! Favorite Holiday: Christmas, because she loves to decorate and all of the lights. Favorite Animal: Elephant – so cute and interesting to watch. Ms. Rachel is one of the teachers in the Older 2’s Classroom and has taught these little ones for three of her almost five years at Child’s Play. Ms. Rachel is most proud of her relationships with friends and family, as well as the Bachelors Degree in Public Relations and Organizational Communications she earned from UW-LaCrosse. 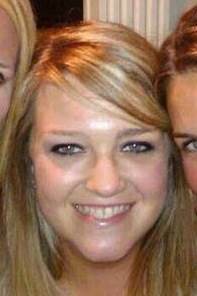 While she lives in Sheboygan, Ms Rachel loves to travel and visit hery family in California, Tennessee and Indiana. When she isn’t jet-setting around the country, she enjoys shopping with friends followed by dinner and drinks! She is often found watching football and other sports, though she doesn’t consider herself an expert in anything quite yet. Ms. Rachel is still learning new things every day! She would love to learn something new from one of her favorite musicians, Tom Petty. She loves his music and could listen to it all day. If she could meet him, she thinks he would probably be a cool, laid-back guy. Speaking of laid back, Ms. Rachel enjoys relaxing with a good glass of wine and good friends, especially after a day of chasing her “friends” in the older two’s room! If there was one thing she wishes all of the parents knew it is that she and Ms. Lois appreciate the cooperation in thier classroom and outside activities!